A Taste of Excellence, Cleveland's premiere caterer for corporate events and business meetings, is Corporate College's on-site caterer. A Taste of Excellence offers experienced staff that will work to meet and exceed the culinary needs of Corporate College clients and help us enhance our commitment to delivering a world-class business meeting experience. The culinary team will focus on delivering innovative food using fresh, and whenever possible, local ingredients. A chef will prepare food on-site. The company's management team is experienced and educated in the fine art of corporate dining and special event catering. A Taste of Excellence will deliver the freshest local and seasonal foods that are in line with current culinary trends and traditional dishes to Corporate College clients. World-class cuisine is the perfect complement to the elegant setting and outstanding service provided by Corporate College. 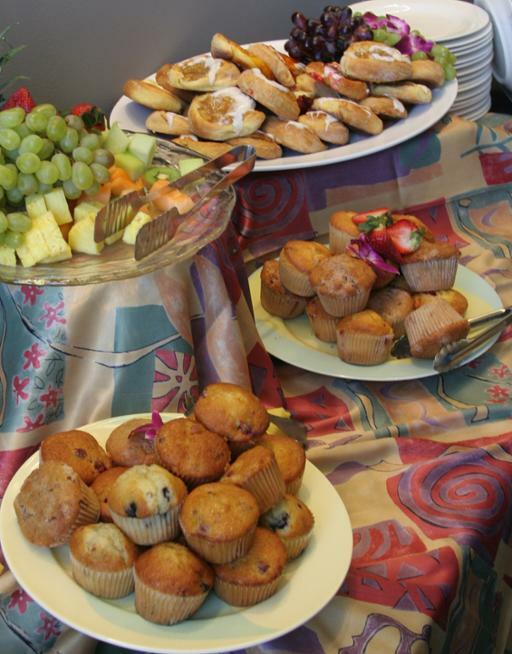 Whether you're planning an early-morning business meeting or an after-work reception, Corporate College offers an extensive range of dining options to satisfy any taste and any budget. Your Corporate College event planner will help you pick the perfect menu items, whether you're planning a continental breakfast and lunch buffet or sit-down dinner and cocktail reception.